At Wallside Windows we understand and value our customer relationships. When a family needs new replacement windows, it’s a big undertaking, and these are not something we take lightly. 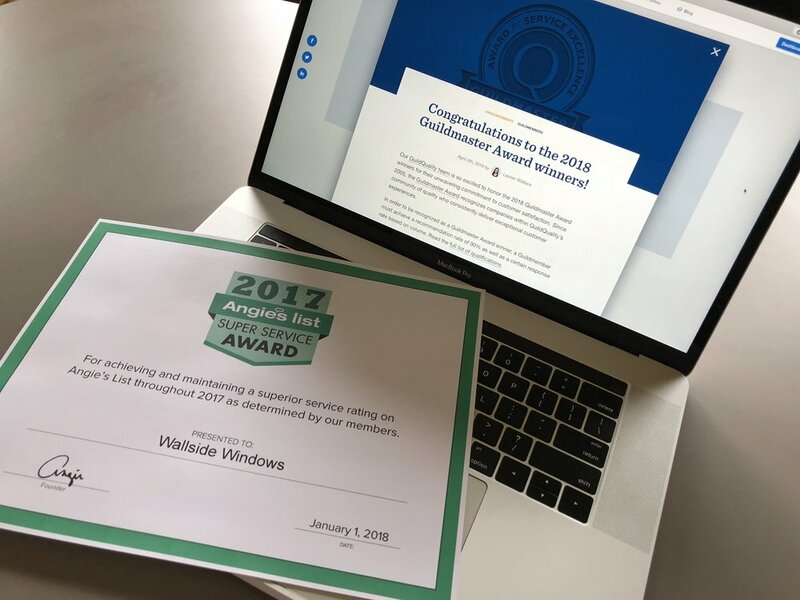 Angie's List and Guid Quality have both recently recognized Wallside Windows for quality customer service and a commitment to homeowners. Our longtime commitment to quality and service can be traced back to our Founder Martin Blanck - who started his home improvement business as far back as 1944. And those characteristics remain the foundation of our work at Wallside Windows today. We’re proud to announce that Wallside has earned not one but two awards recognizing our dedication to our customers. We recently received a Angie’s List Super Service award and have earned a 2018 Guildmaster Award in the category of Replacement Contractors. We earned top honors from two industry leaders for our commitment to customer service, and we couldn’t do that without our fantastic customers. In addition, Wallside is a recent recipient of the Angie’s List Super Service Award. This award honors service professionals who have maintained exceptional service ratings and reviews on Angie’s List in 2017. The award refers to our performance from Nov. 1, 2016 to Oct. 31, 2017 and was announced in 2018. To earn an Angie’s List Super Service Award, winners must meet strict eligibility requirements, which include maintaining an “A” rating in overall grade, recent grade and review period grade. Wallside Windows demonstrated this and remains in good standing with Angie’s List. Ratings are updated continually on Angie’s List. Companies like ours are graded on an A through F scale in multiple fields ranging from price to professionalism to punctuality. Are you seeking replacement windows – and looking for a reliable family-owned company to manage the job? Experience our award-winning customer service and dedication for yourself. Sign up for a free estimate from Wallside Windows today.